The results of the municipal election ended with a low voting result making the count of the final votes earlier and easy results bringing new faces to the controversial city council putting a balance to the way the council has been operating. 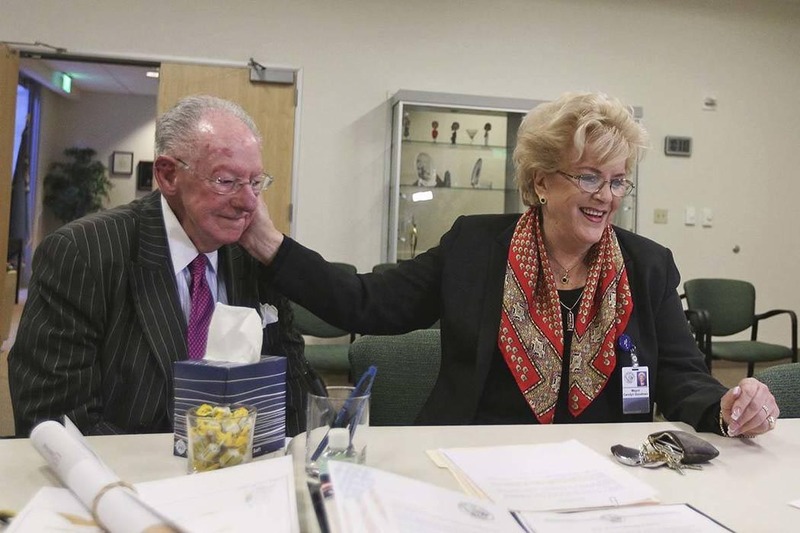 Mayor Carolyn Goodman, as expected, led the long list of candidates wanting to take her place with an astonishing 23,000 votes or 85 percent of the votes, securing the final tally for her last term in office. In the crowded Ward 1 race, the two candidates continuing to the general election will be Brian Knudsen, who captured nearly 27 percent of the vote, and Robin Munir, who received around 20 percent of votes cast. Despite a high-profile campaign, addiction recovery advocate Dave Marlon reported about 17 percent of the vote and missed the cutoff for the general election. Former Assemblywoman Olivia Diaz and activist Melissa Clary emerged with the most votes in the Ward 3 race, meaning they will head to the general election in June. Diaz captured 33 percent of the votes. The former congressman, who chose not to seek re-election amid sexual harassment allegations, received just over 28 percent of the votes cast in the election — five votes fewer than Clary. Olivia Diaz is the same Olivia Diaz who ran for reelection on her Nevada Assembly seat collecting lots of campaign donations and after winning her reelection beat resigned and came out to “HELP” the citizens of Ward 3 that needed her help. Per City Charter, if in the Primary Election one candidate receives more than a majority of votes cast in that election for the office for which he or she is a candidate, he or she must be declared elected and no General City Election need be held for that office as is the case in this year’s race for Mayor and Wards One, Three and Five where city council Cedric Crear ended with 59 percent of the votes. If no candidate receives a majority of votes for a particular race in the Primary, the names of the two candidates receiving the highest number of votes must be placed on the ballot for the General City Election. Previous story City Election is on. Really?